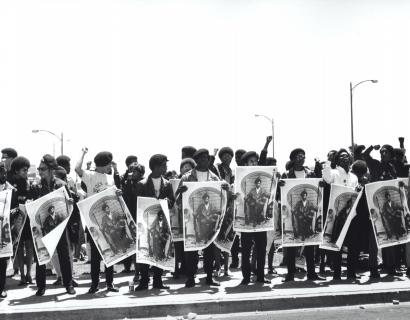 Steven Kasher Gallery is pleased to announce Power to the People: The Black Panthers in Photographs by Stephen Shames and Graphics by Emory Douglas. This exhibition is mounted on the 50th anniversary of the Party’s founding. 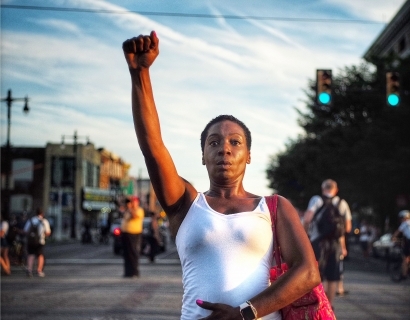 It is an in-depth chronicle of the controversial and revolutionary organization — presented at a time when the nation is once again engaged in struggles against racial injustice. 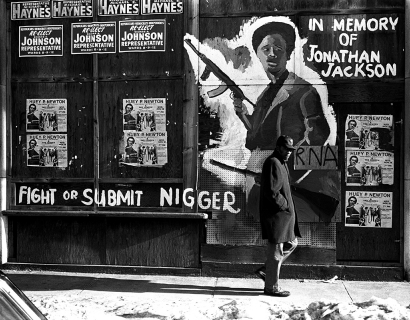 The exhibition features over 50 black and white photographs of the Panthers by Stephen Shames, more than half of which are previously unseen. Also on view in the exhibition are 60 vintage copies of The Black Panther, the official Party newspaper with front and back cover graphics by Emory Douglas. 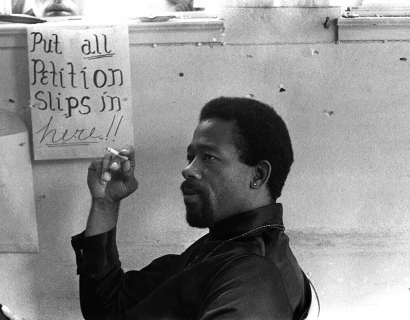 Captions to the photographs are provided by Panther founder Bobby Seale and other Panther leaders including Kathleen Cleaver, Ericka Huggins, Emory Douglas, and Jamal Joseph, culled from interviews conducted by Shames and Seale. 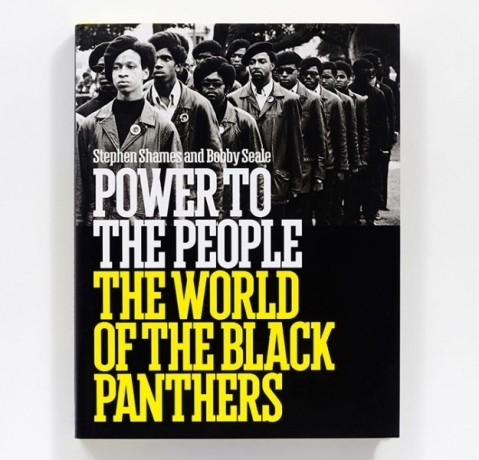 The exhibition launches the publication of Power to the People: The World of the Black Panthers by Stephen Shames and Bobby Seale, published by Abrams, 256 pages, with over 200 photographs by Stephen Shames. A testament to the enduring legacy of the Black Panther Party, this exhibition offers a window into the radical political party that stood above others in the struggle for civil rights. 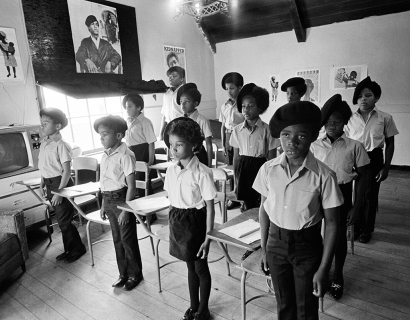 Admired, reviled, emulated, misunderstood, the Black Panther Party was one of the most creative and influential responses to racism and economic inequality in American history. 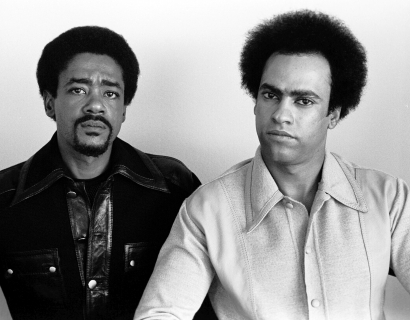 Founded in October 1966 by Huey Newton and Bobby Seale, the Panthers preached the right of black people to self-determination, which included the right to self-defense. They advocated armed self-defense to counter police brutality, and initiated a program of patrolling the police with shotguns — and law books. 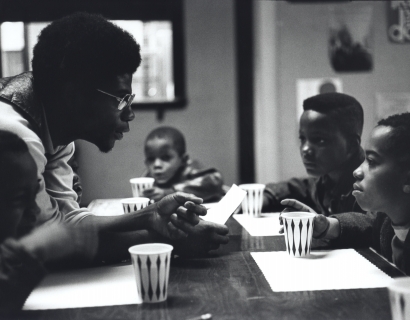 The Black Panther Party sought to build a community through service to the people. The Panthers initiated more than 50 community survival programs including Free Breakfast for School Children, Free Medical Clinics, Free Food, Clothing, and Legal Aid programs, sickle cell screening, an award winning charter school. 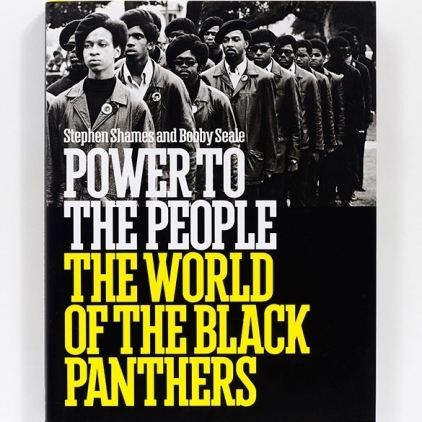 The Panthers electrified a generation of black youth and would become emblematic of the Black Power and anti-imperialist movements that shaped the tumultuous years of the late 1960s and early ’70s. 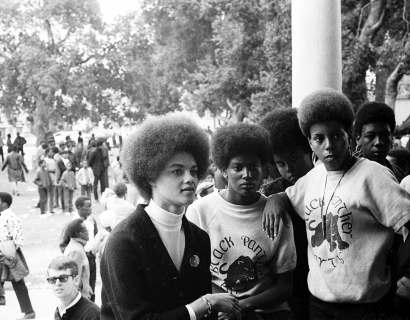 The Panthers embraced the ideals of gender equality and gay liberation and sought to forge alliances with women’s rights and gay rights organizations. 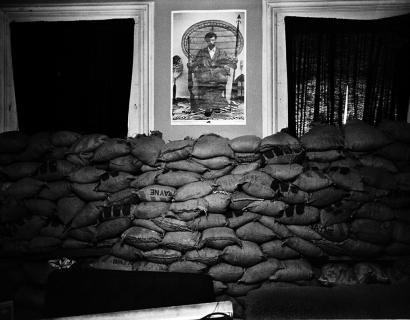 Stephen Shames (b. 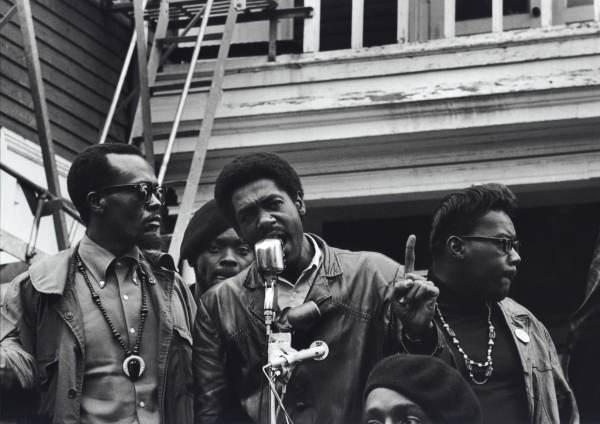 1947) was a student at the University of California, Berkeley when he first photographed Panther Chairman and co-founder Bobby Seale, at an anti–Vietnam War rally in April 1967. Seale became a mentor to Shames, and Shames became the most trusted photographer to the Party. 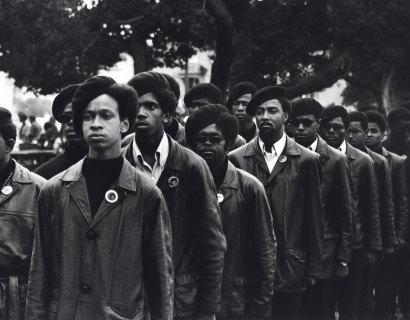 As the unofficial “official” photographer for the Panthers, Shames documented this dynamic organization from 1967 to 1973. 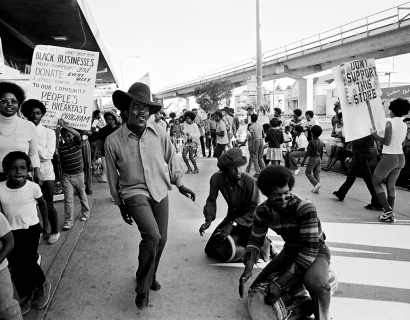 He photographed the Party’s major activities: protests, community survival programs, the Panther’s free school and Bobby Seale’s mayoral campaign in Oakland in 1973. 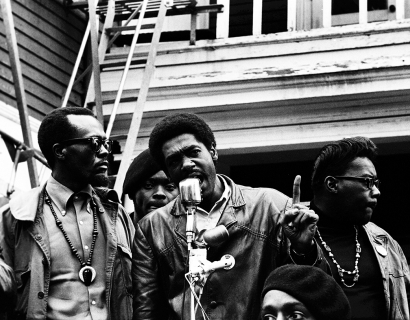 His close friendship with Bobby Seale gave Shames unprecedented access to the unscripted behind-the-scenes moments that provide a unique view of the Panthers. 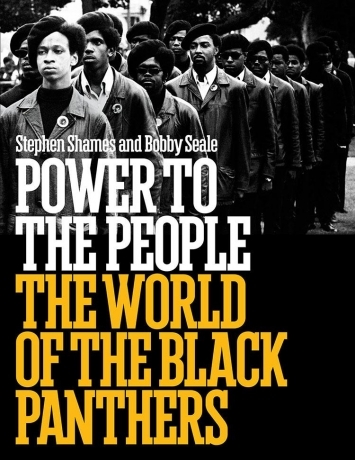 Shames has authored seven monographs including Outside the Dream, Pursuing the Dream (Aperture), The Black Panthers (Aperture) and Bronx Boys (U. of Texas Press.) Shames’ work is in the permanent collections of the National Portrait Gallery; International Center of Photography; the Corcoran Gallery of Art; Museum of Photographic Arts, San Diego; Museum of Fine Arts, Houston; San Jose Art Museum; Philadelphia Museum of Art; The Ford Foundation; Smithsonian National Museum of American History; Oakland Museum; University Art Museum, Berkeley and the San Francisco Museum of Modern Art. Emory Douglas (b. 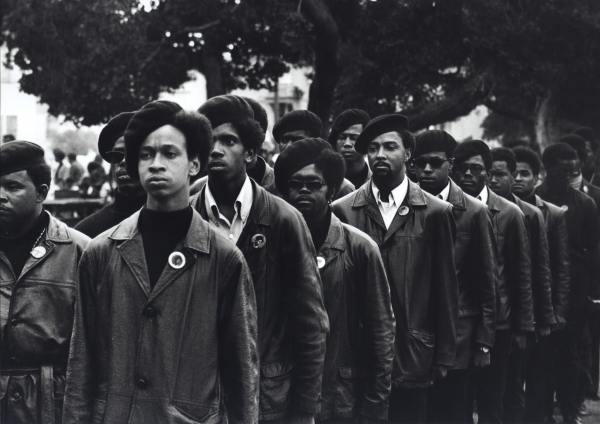 1943) was the Minister of Culture for the Black Panther Party from 1967 until the Party disbanded in the 1980s. Douglas was the art director, designer, and main illustrator for The Black Panther newspaper, which had a peak circulation of 139,000 per week in 1970. 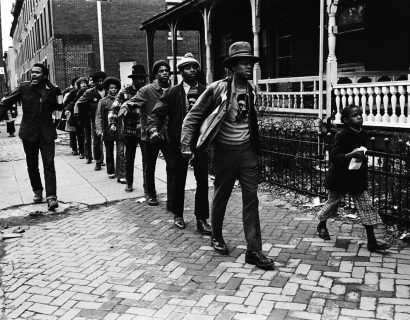 Douglas created images that became icons representing the Black Power struggles of the 1960s and 1970s. He is widely recognized as one of the great graphic innovators of the 1960s. Black Panther: The Revolutionary Art of Emory Douglas was published by Rizzoli in 2006. In 2009 “Emory Douglas: Black Panther” was mounted by The New Museum, New York. In 2007-08 “Black Panther: The Revolutionary Art of Emory Douglas” was exhibited at the Museum of Contemporary Art, Los Angeles.